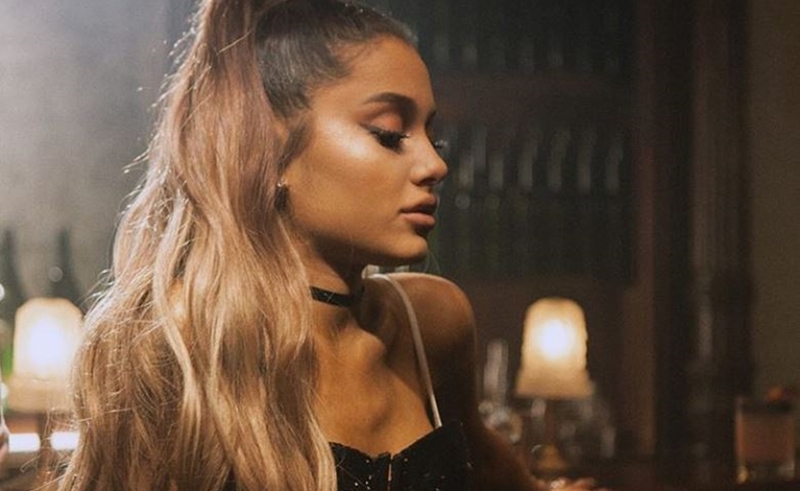 Ariana Grande Net Worth, Songs, Boyfriend & More - Picnic! Ariana Grande was born on 26th of June 1993 in the city of Boca Raton, Florida. Since a very young age, Ariana had a passion for singing. Today she is one of the most popular singer/artists around the globe. Her career started when she acted in a Broadway play when she was 15 years old. After this she worked in a few small TV parts as well, which helped her land a role of Cat on TV’s Victorious, followed by the spinoff Sam & Cat, and then she began her musical career by releasing five albums that topped the charts. Her album Your Truly was released in 2013, followed by My Everything in 2014, Dangerous Woman in 2016, Sweetener in 2019 and Thank U, Next in 2019. She has always been very active on social media including Facebook, Instagram and Twitter. Ariana’s personal life has always been a little too public. The media always seems to know who is her current boyfriend and who she is dating. In 2016, Ariana was in a relationship with “The Way” collaborator Mac Miller. The couple split in 2018 and according to her post on Instagram, Ariana still adores and respects him a lot and is grateful to have him in her life in any way at all regardless of the changes in their relationship and what the universe holds for them. It was confirmed on June 11, 2018 by People magazine that she was engaged to SNL‘s Davidson, who she had dated for several weeks. There was a lot of focus on their relationship from both media and fans and the couple often posted affectionate social media posts directed at each other. However, the couple ended up in an awkward situation when a film surfaced in which Davidson was making fun of the Manchester bombing that had happened a few months earlier. The couple broke up in October 2018. Ariana Grande was born in Florida to Joan Grande, a businesswoman, and Edward Butera, who works as a graphic designer. She started acting and singing ever since she was a little girl and had made her way onto the local theatre even before she was a teenager. Her career received a push start at the age of 15 when she got the role of Charlotte in the Broadway production 13. The play was based on life experiences growing up in New York City. The early role prompted honors and Ariana won a National Youth Theater Association Award. After two years, Ariana was seen in the musical Cuba Libre and also acted a small role on the Television show “The Battery’s Down”. Ariana received proper attention from a much larger audience when she landed a role in the Nickelodeon series Victorious. Ariana was given the role of a goofy, aspiring singer-actress known as Cat Valentine in the TV show Victorious. The show was set at a performing arts high school. Even though she was busy with the show, she decided to give her musical career a try as well and made her first appearance on a record with the Victorious soundtrack. Her pop single “Put Your Hearts Up” was released in 2011. In 2012, Victorious was voted as the Favorite TV Show at the Nickelodeon Kids Choice Awards. Ariana’s character Cat Valentine was loved by a lot of people. After this show, she was cast in the Nick spin-off Sam & Cat along with Jennette McCurdy, who had acted in iCarly previously. It was not long before rumors began to circle that Ariana was not happy with the role and was not enjoying the experience at the show. The show came to a sudden end after 35 episodes. In the meantime, Ariana’s 2013 single “The Way” was listed among the top 10 in the United States and went triple platinum. Ariana sang the title soundtrack of the movie Beauty and the Beast in 2017. She started her Dangerous Woman tour across North America and after that Europe in February of that year. On the 22nd of May, 2017, disaster struck after Ariana completed a show in Manchester, England when a bomb exploded at the exit of the show corridor, killing 22 people and injuring 116, including young teenagers and kids. Just a day after the attack, she cancelled her tour. On June 4th, thirteen days after the attack, she returned to Manchester and performed a benefit concert for the bombing victims. She enlisted fellow singers and friends including Katy Perry, Miley Cyrus, Chris Martin, Liam Gallagher and Pharrel Williams to perform. She paid a visit to her fans who had been injured due to the attack before she began her concert. Other than this, 14000 free tickets were offered to the people who had been at the May 22 concert. Her tour was continued on the 7th of June in Paris. Later that year, she said she was still suffering from post-traumatic stress from the event. While talking to the British Vogue she said that it was something that was difficult to talk about because a lot of people had suffered such severe and tremendous loss. Though Ariana Grande is still young, she has an astonishing net worth. She has managed to become one of the most popular artists in just a few years and continues to make good music. You can tell that her finances are in great shape just by looking at her lavish lifestyle and the lush productions of her music videos. In 2019, her net worth is estimated to be around $50 million. According to sources, she has earned from huge endorsements deals, including Reebok and various perfume lines, which have grossed £116 million in 2017. Other than that, she has also earned large sums of money mainly through her music sales and the merchandise from her sold-out tours.